Sometimes when confronted with strange new ideas, people will exclaim, “you must be on drugs!”—a charge often levied at philosophers by those who would rather dismiss their ideas as hallucinations than take them seriously. But, then, to be fair, sometimes philosophers are on drugs. 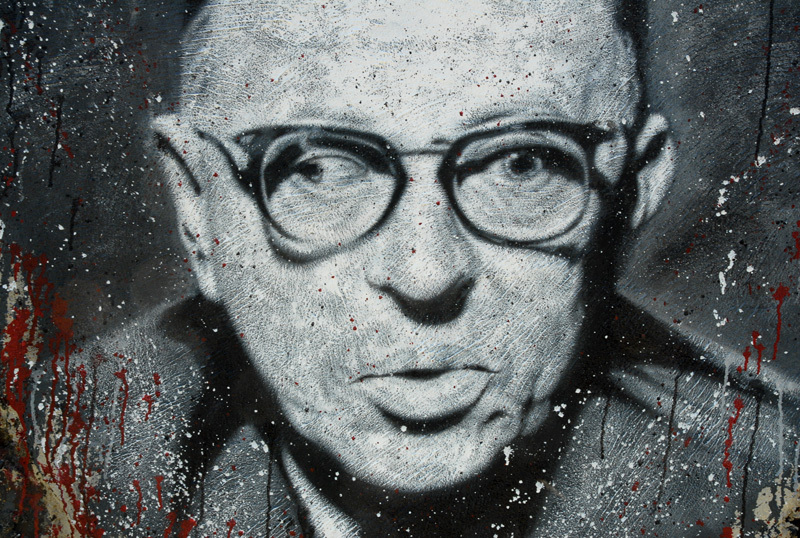 Take Jean-Paul Sartre. “Before Hunter S. Thompson was driving around in convertibles stocked full of acid, cocaine, mescaline and tequila,” notes Critical Theory, Sartre almost approached the gonzo journalist’s habitual intake. These details should not unduly influence our reading of Sartre’s work. Like Thompson, no matter how physically debilitating the booze and drugs might have been for him, they didn’t seem to cramp his productivity or intellectual vigor. But his one and only experience with mescaline almost sent him careening over the edge, and certainly contributed to an important motif in his work afterward. I got used to them. I would wake up in the morning and say, “Good morning, my little ones, how did you sleep?” I would talk to them all the time, or I would say, “OK guys, we’re going into class now, so we have to be still and quiet,” and they would be there, around my desk, absolutely still, until the bell rang. This went on for a year before Sartre went to see his friend Jacques Lacan for psychoanalysis. “We concluded, “ he says, “that it was a fear of becoming alone.” While he had previously confessed a fear of sea creatures, especially crabs, that went back to his childhood, after the mescaline trip, crabs featured prominently in his work, as Peter Royle shows at Philosophy Now. 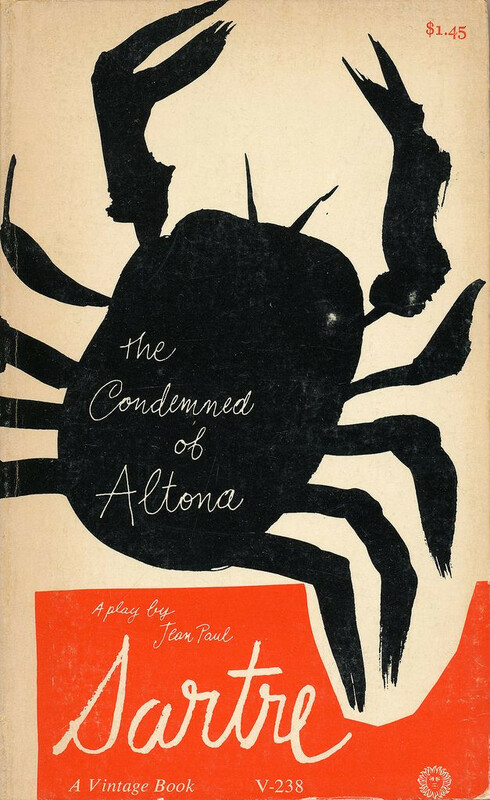 We find several references to crabs in his short story collection The Wall and in his famous essay “Existentialism is a Humanism.” Samir Chopra quotes crab passages in Sartre’s first novel Nausea. (“At first I avoided them by writing about them,” he told Gerassi, “in effect, by defining life as nausea.”) “In one of his short stories, ‘Erostratus,’” notes Royle, “Sartre creates a character, Paul Hilbert, who looks down on human beings from a height and sees them as crabs.” The most striking use of the “crab motif” comes from his 1959 play The Condemned of Altona, in which the protagonist Frantz imagines that by the Thirtieth Century, humans have become crabs sitting in judgment of the people of the Twentieth. This entry was posted on 11 July, 2018 in homepage. Bookmark the permalink.